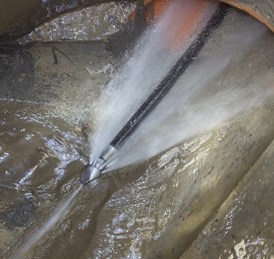 Tree roots, minerals, dirt, grease, and sludge can clog a sewer line and water is often the best solution to clean it. Debris and clogs must be removed in order to maintain proper sewer operation. General Pump offers sewer jetting pumps with low pressure for smaller lines and higher pressures of 4,000 PSI for industrial applications.